Elephone is steadily earning a reputation in tech circles as an inexpensive, reliable, quality manufacturer. This watch is my first experience with Elephone (and, indeed, with SmarterWatching) but from what I’ve seen in my couple weeks with the W2, I tend to agree with that analysis. Upon first glance at the Elephone W2, two thoughts popped into my head: “Wow, that looks professional” and “Wow, that thing is huge.” The W2’s design is unique; it’s a smartwatch that features a traditional watch face rather than a touch display, as is popular right now in the smartwatch market. The result is an understated, dignified look that doesn’t immediately present itself as a smartwatch, and, by extension, providing a professional style absent in many smartwatches. 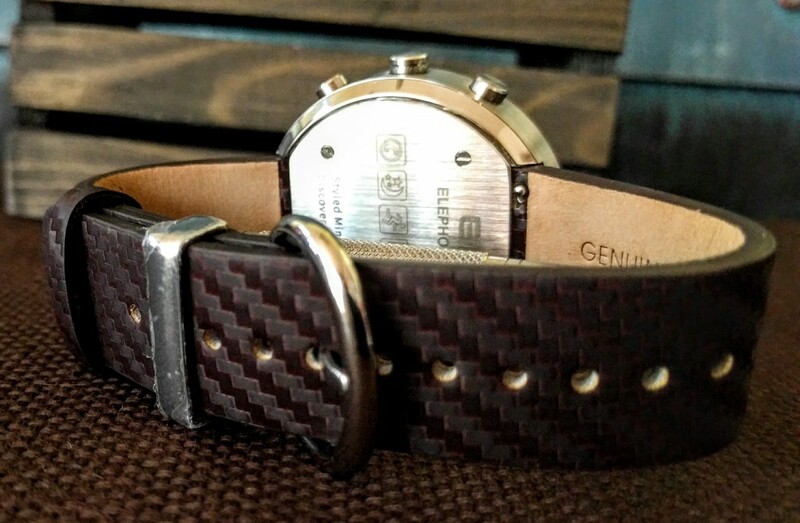 The band is standard size and genuine leather with an intriguing micro-fiber style design to it – the buckle and band guide are both steel, matching the aesthetic of the W2’s chassis. Spring clips, rather than traditional band pegs, enable easy removal and swapping of the watch band, which, if I’m being honest, I thought was the coolest thing in the world when I first figured it out. The actual watch itself is hefty, but not heavy; it feels solid without feeling massive. The face is minimal – so much so, in fact, that immediately discerning which side is up was difficult at first glance. The W2 has two sets of LED lights; the first, along the bottom perimeter of the face, displays your progress toward your daily step goal while the second is a single LED above the “ELE” logo used to indicate which mode the watch is currently in (more on those features later). The internals of the watch are “Swiss,” but Elephone doesn’t go into any more detail than that as far as the actual manufacturer or any such thing. Here’s the carbon-fiber texture I mentioned. In regards to durability, I found the W2 to be perfectly acceptable. It’ll never be confused for a rugged device – a glass face, aluminum body, and standard leather band are not a recipe for “indestructible” – but I found it to be scratch and shock resistant. It’s rated to be waterproof to 30 meters, and while I didn’t dive down into the depths to test this, it works perfectly after a long shower. Please note, though, that the waterproofing applies to the watch itself, not the band; wet leather smells awful. I banged it against various objects while wearing it at work and only have a single scuff on the side of it as a result, so while it’s not the Superman of watches, you certainly don’t have to baby it. On top of this, the battery life on the W2 lasts for 6 months, and the box includes two spare batteries. Where other watches struggle to get a day, Elephone manages half a year. 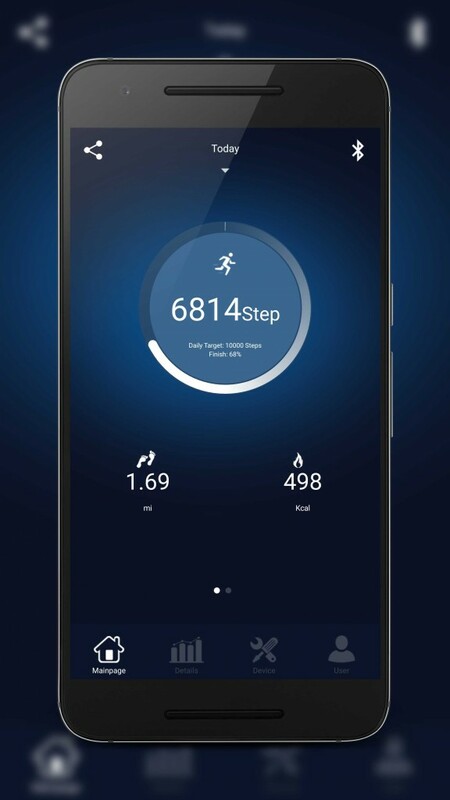 The features list of the Elephone W2 is rather short – largely because there’s no screen – but it does much of what many fitness trackers do these days along with a few other nifty tricks. The primary draw, in my opinion, is that its Bluetooth enabled with a pedometer built-in. 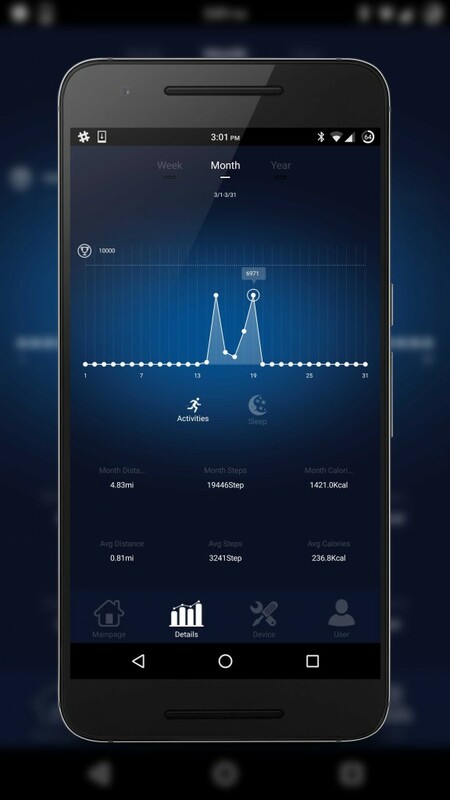 This combination means that you have wireless sync with the companion app, something that many fitness trackers lack. The only issue I had with the Bluetooth sync is that the Bluetooth only turns on to sync when you open the app – and it only syncs the last week of activity. If you don’t open the app the check your steps for a week, you lose that week’s data. Note the gaps in sync. I found the pedometer to be a bit picky in what it counted as a step – I walked around my house off and on for two hours and it registered zero steps, for instance – but when I walked around at work it detected flawlessly. In addition to Bluetooth syncing to the app, the W2 also gives you the option of being notified when you get a call or one of your alarms go off. The notification is simple and understated; a vibration and a notification light on the watch face. Remote Shutter on the W2 is a mixed bag. On the one hand, you can take pictures remotely with a press of either button on the watch. On the other, you have to use the (extremely limited and feature deficient) camera within the Elephone App. If the W2 had the ability to Remote Screenshot from within the stock Google Camera app, I’d be thrilled with it. Unfortunately, after testing the feature I never used it again. I don’t walk as much as I should. The last “feature” that I feel compelled to write about is the Mode feature. The W2 features two modes; “Sleep” and “Active.” In Active mode, the watch tracks steps. In Sleep mode, the watch uses its accelerometer to measure movement while you sleep. The watch can only be in one mode at a time, and it requires you to manually switch between modes with a long-press of the top button. The problem with this is, of course, human error. The second you forget to take your watch out of Sleep mode, you’ve lost an entire day’s worth of step counting. I haven’t used the Sleep feature since I started wearing it. 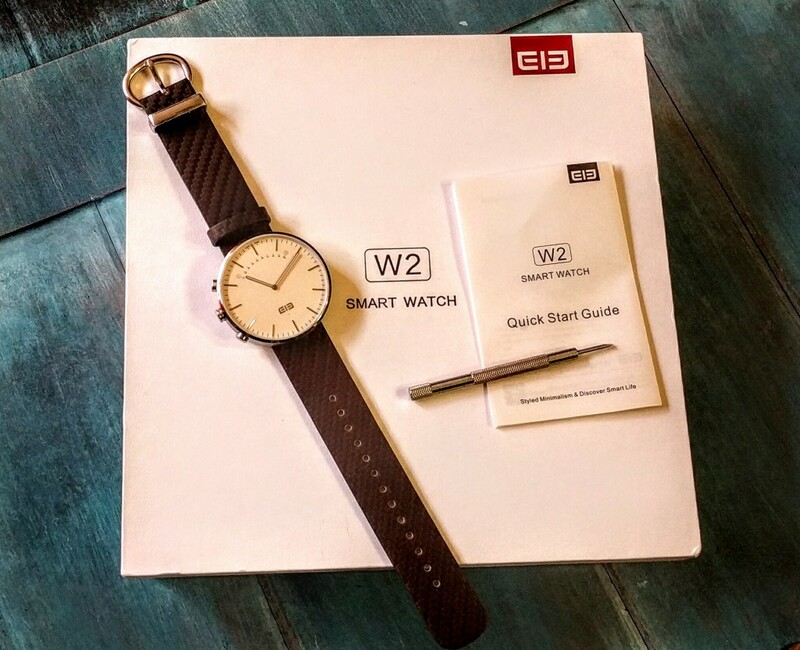 In all, the W2 has a very limited feature list; that being said, however, the price reflects that limitation, and the style of the watch is very professional – something that can’t be said for many smartwatches out there. At $59.99 on GearBest, it’s cheaper than most fitness trackers, with all the same features.